Let your creative juices flow this season by decorating for the holidays with a little sizzle and festive flair. Whether you have a small space, a large loft, or just want to break free from the traditional tree in the corner, we think you’ll be inspired by these exciting and unique holiday decoration ideas! Tight on space but have huge holiday aspirations? This chalkboard paint wall will take your breath away. A little paint, chalk, and a string of lights can transform any room into a Christmas scene. Before there was Apple vs. PC, Coke vs. Pepsi, or red vs. blue, there was a primal conflict that drew sharp battle lines. When you wanted to make a change in your surroundings, which did you choose: paint or wallpaper? 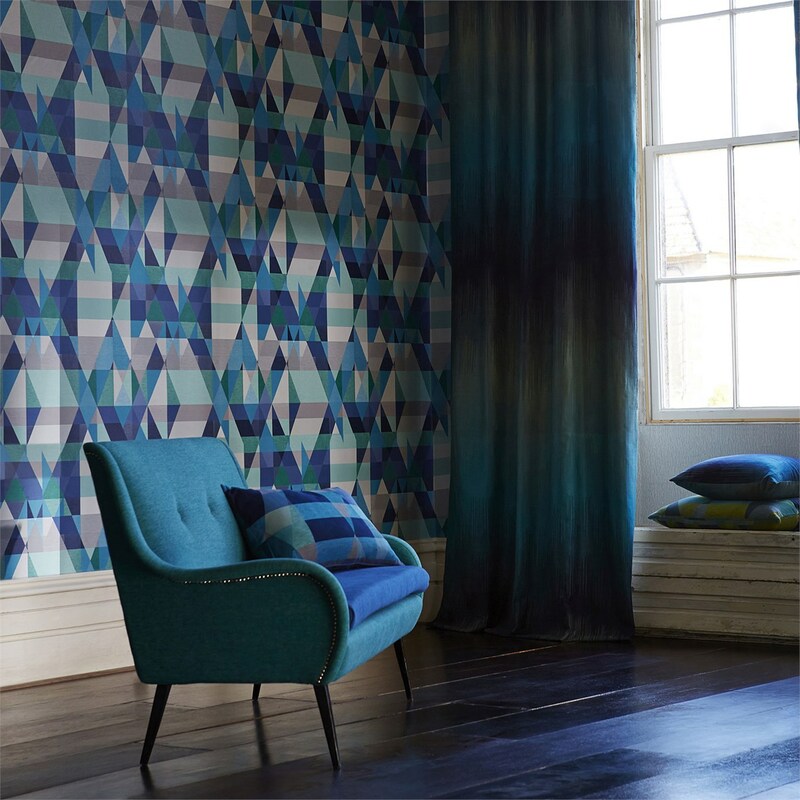 If wallpaper sounds a bit old-fashioned, you may have missed a few rounds of that battle. While paint may be the wallcovering of choice in home improvement stores, specialists know that wallpaper is back, in a big way. “I love wallpaper; I love what it does for a room,” says Beth Zentzis, a design consultant at Hirshfield’s Woodbury location. She’s seen an upsurge in interest, which she attributes to some powerful pulls. In mid-October, Benjamin Moore revealed its 2015 Color of the Year: Guilford Green HC-116, described as a stunning silvery green that complements both modern and traditional styles in a seamless manner. 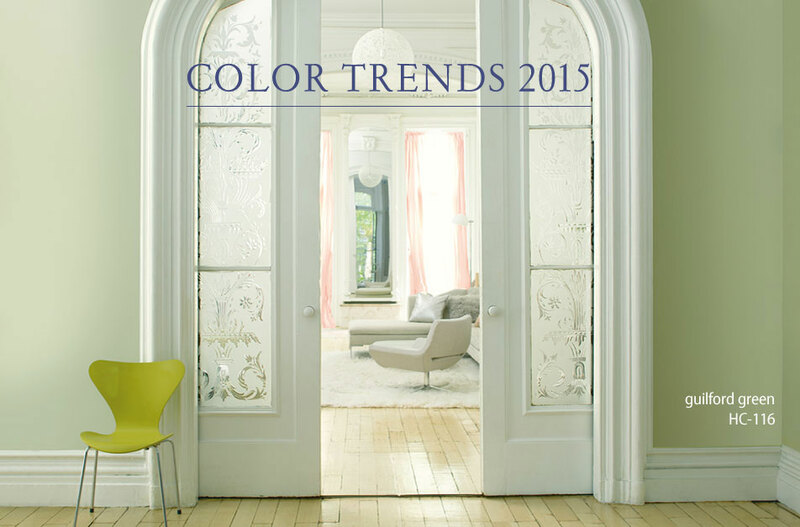 At the same time, Benjamin Moore also unveiled Color Trends 2015, featuring monochromatic color designs and saturated hues for a balanced home. These trends include a curated palette of 23 colors featuring four gorgeous color families – green, blue, blush and berry. Friday Finds: What Paint Brush is Right for You? Don’t suffer through beginner’s errors when it comes to painting; make an educated choice with your paint brush. You may not think about your paint brush as much as your paint color, but Roseville Sales Associate at Hirshfield’s, James Stoffel, believes you really should. So, what brush should you be using? It all depends on the project you’re going to tackle. Generally exterior paints are latex or acrylic based. An extra firm brush with man-made bristles will work the best. Stoffel explains that without a synthetic brush,“when it’s warm and humid the bristles will start to get soft and not follow your direction.” The cleaner line of a firm man-made brush will give you more control.